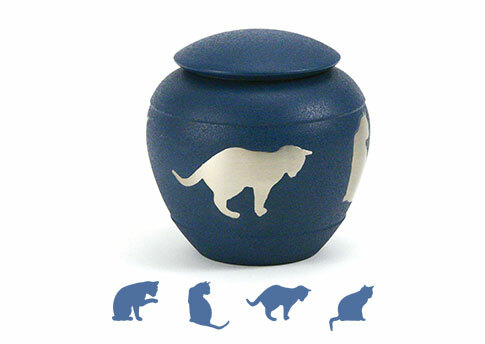 Browse our unique selection of Faithful Feline Urns. A beautiful way to memorialize your beloved feline friend. Lacquered brass. The bottom of each cat urn has a secure threaded screw. Available in Black or White. 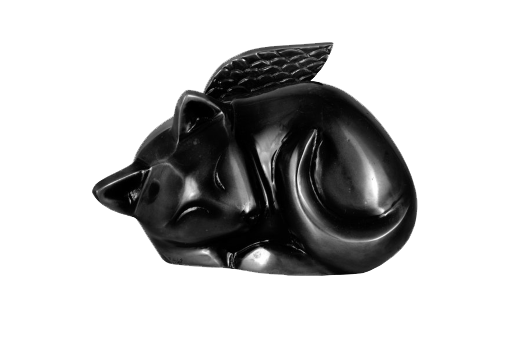 3 lines of gold engraving on black or white Sleeping Angel Cat. The four shiny brass silhouette inlays depict the playful nature of your sweet cat. 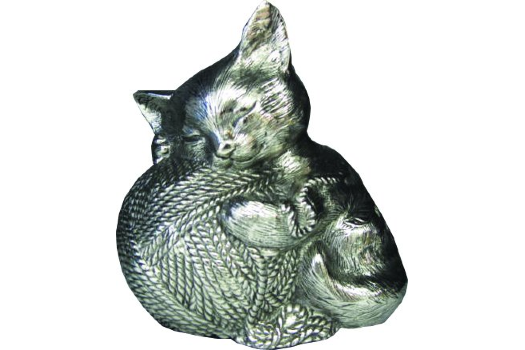 The four shiny silver silhouette inlays depict the playful nature of your sweet cat. 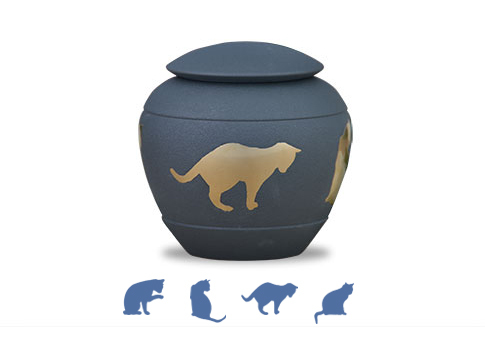 Artfully designed as a memorial to your feline companion, this rich sienna urn features four inlaid silhouettes finished in brass. Elegant tribute to your beloved cat, this beautiful urn is handcrafted and finished in fern green with four copper-plated silhouettes inlaid around the centre. Name and dates engraving at additional cost.